Terry Hawkins is funny, successful and talented. She knows a lot about people, performance and how to optimize both. Her keynotes are easy to understand and easy to use. Terry’s audiences always walk away invigorated and ready to implement great tools. She helps people be better leaders, communicators, salespeople, and more. Terry Hawkins (CSP) is an award winning speaker, entrepreneur, best-selling author and founder/owner (1989) of People In Progress Global, an industry leader in enterprise training resources with offices in both Australia and USA. Terry’s dynamic, transformational presentation style and her powerful, action based messages have made her the most in demand speaker throughout Australia. Ask Terry what her specialty is and in one word she will tell you – PEOPLE. Terry knows how to give her audience a great experience while they learn strategies that can change the way they look at and feel about life forever! 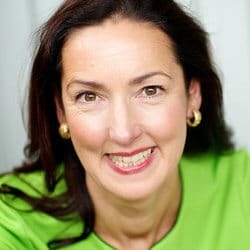 She is one funny lady and her ability to connect with people from every walk of life allows her to deliver high impact, hilarious and thought provoking presentations – she makes complicated concepts so simple to understand that it indeed seems like magic. 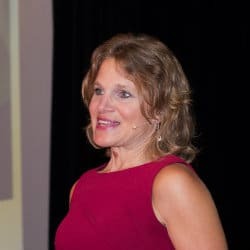 She is a masterful educator in attitudinal and mind-set change, cutting-edge sales techniques, leadership development, temperament theories and relationship connectors, and communication strategies and many more. She has spoken at a variety of events and for every industry imaginable. Using her uncanny ability to relate to any audience and her gifted ability to simplify she has assisted in the evolution of countless corporations and the people within those corporations. Terry is fascinated with human behavior and results which has led her to tirelessly study the concepts of peak performance and the obstacles that stop people from succeeding. Regardless of the audience demographic people walk away inspired and motivated, knowing how to create outstanding results for many years to come. 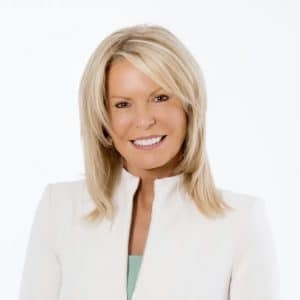 Terry Hawkins has spoken to every industry imaginable using her uncanny ability to relate to any audience, and her gifted simplicity to assist in the evolution of corporations and the people within those corporations. Rather than overwhelm the audience with jargon, Terry will deliver a message that will be nothing short of spectacular and specific. This lady is engaging, humorous, insightful and inspiring! She is one of those rare people who can deliver a message that you will remember forever! In addition to being a talented and captivating speaker, Terry is also a best-selling author and well-established business woman. She founded her training company People in Progress Global in 1989, now called Progress Retail, an e-learning and sales management software company. Terry pioneered empathy-based sales and management training with a purely in-person training facilitation model. The business’ core education product, C.A.R.E. Customers Are Really Everything® has had over 25 years of durability in its analog, in-person format as a front-line retail sales system. Terry, as a non-digital native, has successfully transitioned her business by leveraging technology. She has persevered through the trials of adapting what she’s known to be true, with what is required to remain relevant in the future. 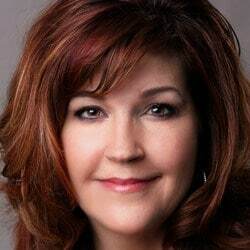 She’s a pioneer in retail sales education, mastering behavioral re-patterning tools that are consistent undertones in her retail education products, and her keynote speaking addresses. Retail’s in-store evolution is just beginning, with front-line employees needing to embrace brand, process, education, and performance like never before. Borrowing from over 25 years of developing compelling retail education, Terry unveils the science of retail selling. Is your organization, or members of your team dwelling in what can’t help them? Placing proper perspective on the past, and creating the fuel for the future is Terry’s specialty in ninety minutes or less. The past can’t hurt you, only the meaning that is assigned to it. There is another sea change approaching in retail. E-Commerce had the show for the first part of the new century, but make no mistake, the future of retail is very human. What can you do to be ahead of this change? Terry leverages her thirty-years of retail development experience. It’s either NOW or TOO LATE!Combat the fear of change and turn adversity into action using Terry’s unique and proven 4-step process for success. Why WAIT to be GREAT at SALES!Eliminate, Renovate and Elevate to a new sales level. Smash through that glass ceiling and allow your team to soar! Why WAIT to be GREAT at READING PEOPLE!The 4 temperament styles with a hilarious twist! Why WAIT to be GREAT at COMMUNICATING!Creating communication connections that last. Why WAIT to be GREAT at RETAIL!Get a Retail Makeover with the expert – Terry’s 23 years as CEO and founder of People In Progress Global, a leader in dynamic Retail. Why WAIT to be GREAT at CONFLICT!Stop avoiding and start creating. Conflict – the key to a company’s evolution. CUSTOMIZED PRESENTATIONS If any of the Terry’s topics don’t quite fit, then fear not! 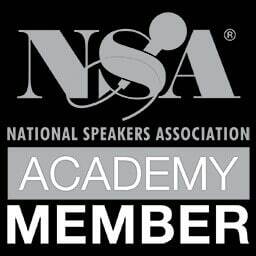 With Terry’s extensive background in business and education, she is masterful at developing customized presentations and programs specifically for your event. Terry's credentials and expertise in retail stood out in our search for a keynote to a group of entrepreneurs in women's health. Terry took the time before her keynote to research our group's pain points, challenges and opportunities - and when she presented, she nailed it. Terry's message is one that stands out because of her delivery and experience. Retail can be overwhelming, and that's something she knows firsthand. Through her own personal stories and learnings, she captivated our group - which is not easy first thing in the morning on day two of a conference. She had people laughing, listening and truly learning. Terry's keynote is one that stays with audiences because it's relatable and memorable, much like Terry herself. I highly recommend her to any audience.